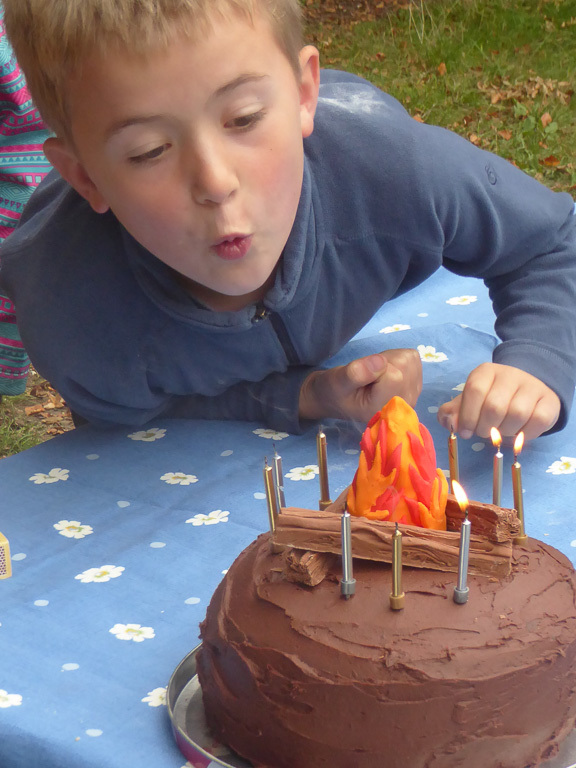 Lest this blog become entirely about technology: it was Duncan’s 9th birthday last week. His party took place the weekend before and, given it was up at Farley Mount and all outdoors, the weather was very kind to us. Emma and I laid out a hash whilst Christine and Duncan waited for ‘the boys’ to arrive. We returned to find a game of capture the flag (a Cub favourite) well underway. Having laid the hash was a good excuse to stay behind and mind the lunch whilst everyone else disappeared off into the woods. Thankfully they all returned again about half an hour later although I could still hear them for about half that time! In the meantime, I’d started frying for the bacon sarnies. I was cooking on gas but the plan was to light a fire in the site’s barbecue grill so that they could toast marshmallows for s’mores. Christine had even bought a flint and steel and, with copious quantities of cotton wool, they did eventually get a fire going. This was quite something given the trouble I then had just trying to light the candles on the cake (with a match I hasten to add). Christine had lots of other activities planned but they seemed happy to round things off with another game of capture the flag. When the day itself came it was fairly uneventful. Emma gets lots of enjoyment from just watching other people open presents and, given she leaves for school before Duncan gets out of bed these days, he was kind enough to wait until they’d both got back from school. 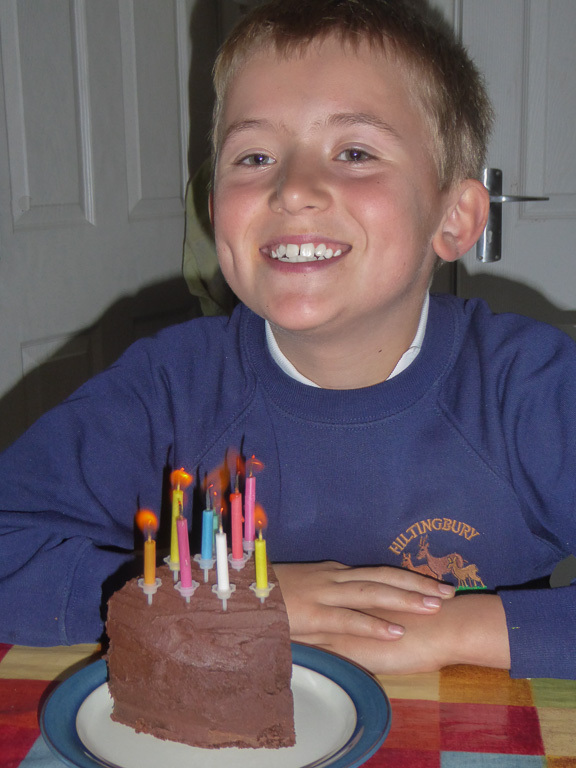 Duncan had a week off football so that things weren’t quite as manic as usual but, after a birthday tea (where, as you can see, he only got the leftovers of his cake from the party!) he and Christine then headed out to Cubs as usual. This entry was posted on Monday, October 8th, 2018 at 9:17 pm	and is filed under Family. You can follow any responses to this entry through the RSS 2.0 feed. Both comments and pings are currently closed.